In human medicine, antibiotic use is generally confined to treatment of illness. Yet, on many industrial livestock farms in the U.S., antibiotics and other antimicrobials (drugs that kill microorganisms like bacteria) are routinely administered to healthy animals. 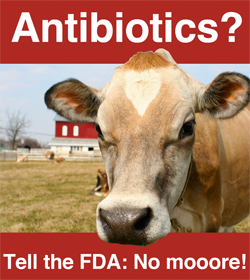 In fact, 80 percent of all antibiotics produced in the U.S. are given to animals, not humans. One result of this unregulated overuse has been a significant increase in antibiotic-resistant “superbugs” which can dangerously jeopardize the use and effectiveness of medically important antibiotics for humans. Antibiotics are essential tools in both human and animal medicine, but mounting evidence has linked persistent use of these drugs in animal production to the development and spread of antibiotic-resistant organisms. To preserve medically important antibiotics for treatment of disease in people, current practices must be radically changed. 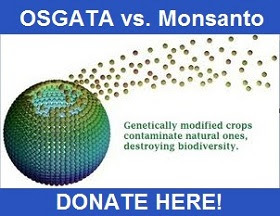 Urge FDA to immediately ban all use of medically important human antibiotics in food-producing animals for growth promotion or disease prevention.